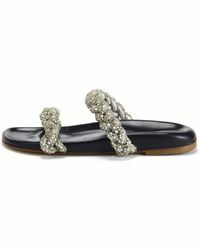 Show-stopping womenswear brand, Oscar de la Renta is a renowned red carpet favourite and go to for high-end wardrobe essentials, from footwear, to couture and accessories. The brand's bold and feminine aesthetic is the work of a designer with an intuitive understanding of what makes the perfect piece of fashion. His legacy lives on in bright florals, elegant silhouettes and directional details. 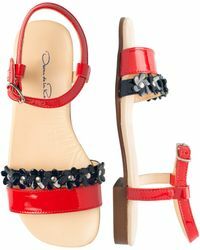 Shop the selection of sandals from Oscar de la Renta for multicoloured patent sandals, cork and leather slides and Spanish mules.